JNN 24 Aug 2014 Tehran : Iran’s elite Revolutionary Guard says it has brought down an Israeli stealth drone above the Natanz uranium enrichment site in the centre of the country. The Guards issued a statement saying the drone was trying to penetrate the site, state news agency ISNA said on Sunday. 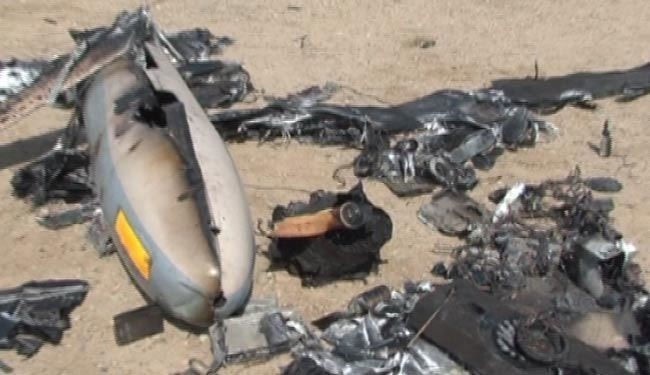 “The downed aircraft was of the stealth, radar-evasive type and it intended to penetrate the off-limit nuclear area in Natanz… but was targeted by a ground-to-air missile before it managed to enter the area,” ISNA said, citing a statement by the Revolutionary Guards. “This act demonstrates a new adventurism by the Zionist regime… The Revolutionary Guard and the other armed forces reserve the right to respond to this act,” the statement added. Natanz is Iran’s main uranium enrichment site, housing more than 16,000 centrifuges. Around 3,000 more are at the Fordo plant, buried inside a mountain and hard to destroy. Iran’s nuclear programme has been the target of espionage and sabotage efforts in the past. In 2010, the so-called Stuxnet virus temporarily disrupted operation of thousands of centrifuges, key components in nuclear fuel production at Natanz. Iran says it and other computer virus attacks are part of a concerted effort by Israel, the US and their allies to undermine its nuclear programme through covert operations. Israel has never commented on the allegations but is widely believed to have been involved in the Stuxnet attack. Since then, Iran has also said that it discovered tiny timed explosives planted on centrifuges but disabled them before they could go off. 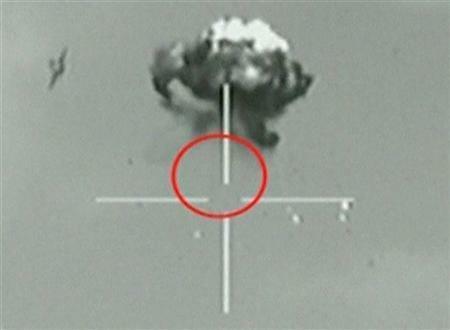 Tehran has said it captured several US drones that violated the country’s airspace in the past. In 2011, Iran said it captured an advanced CIA spy RQ-170 Sentinel drone and later reverse-engineered it. Iran and the P5+1 powers – Britain, China, France, Russia, the United States and Germany – reached a six-month interim agreement under which Iran suspended part of its nuclear activities in return for a partial lifting of international sanctions. In July that deal was extended by four months until November 24 to give the two sides more time to negotiate a final accord aimed at ending 10 years of tensions over Iran’s nuclear programme. The sides remain split on how much uranium enrichment Iran should be allowed to carry out. Washington wants Tehran to slash its programme by three-quarters, but Iran wants to expand enrichment ten-fold by 2021, chiefly to produce fuel for its Bushehr nuclear power plant. Israel, a sworn enemy of Iran, opposes any agreement allowing Tehran to keep part of its uranium enrichment programme, saying Iran could use the material to make an atomic bomb. This entry was posted in Iran News, Middle East, Uncategorized and tagged Fordo, iran, Iran Revolutionary Gaurds, Iran's Nuclear Site, Israel's Drone, Natanz. Bookmark the permalink.